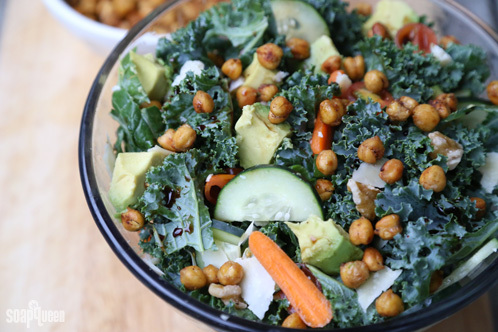 ONE: The prep work is the most time consuming part of this quick salad. 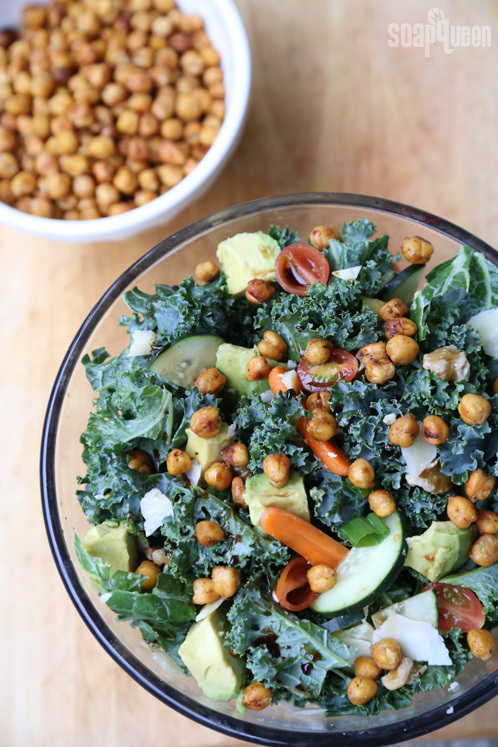 Rinse all the chickpeas under cold water and chop all your vegetables. 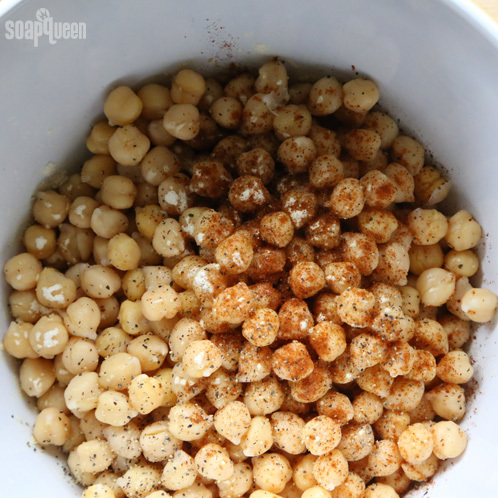 Remove any skin from the chickpeas that has begun to fall off. 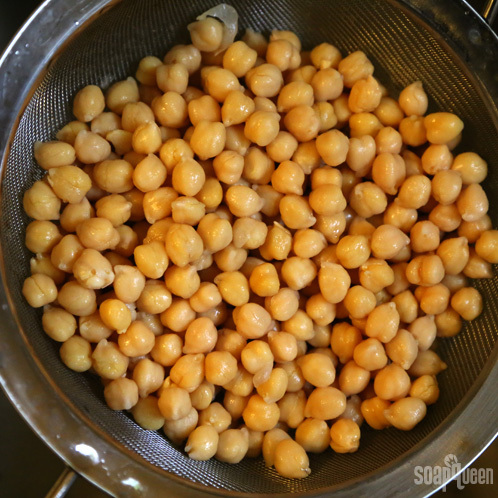 TWO: In a bowl, combine the chickpeas with 2 tablespoons olive oil. Season to taste with garlic powder, paprika, salt and pepper. 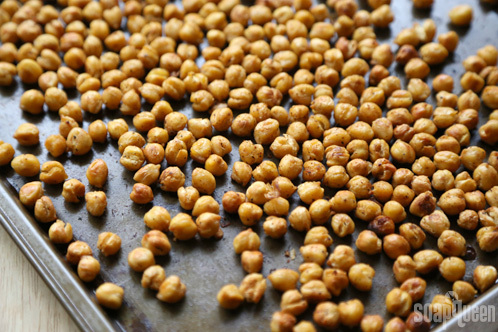 THREE: Transfer the chickpeas to a baking sheet. Bake in the oven for 30 – 40 minutes on 400 degrees F until they are light brown and crispy. Taste, and add more seasoning if necessary. 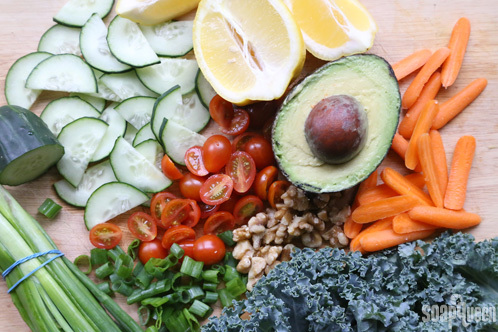 FOUR: Combine the chopped vegetables, walnuts, and parmesan cheese with kale. 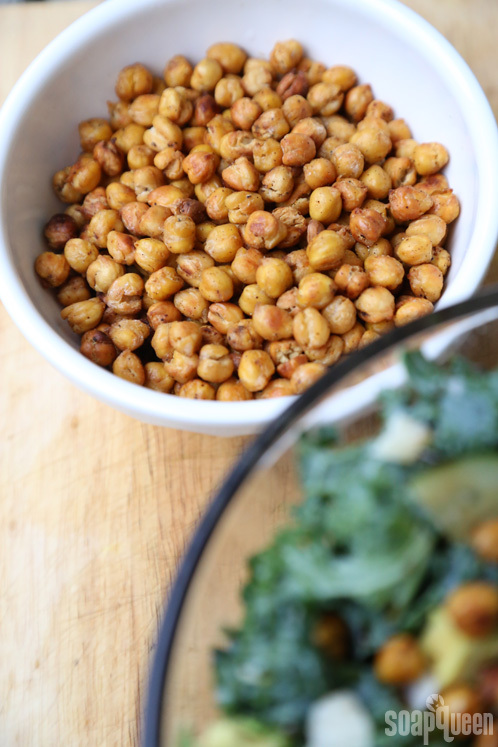 Drizzle balsamic vinegar and lemon juice on top and garnish with baked chickpeas. Enjoy! 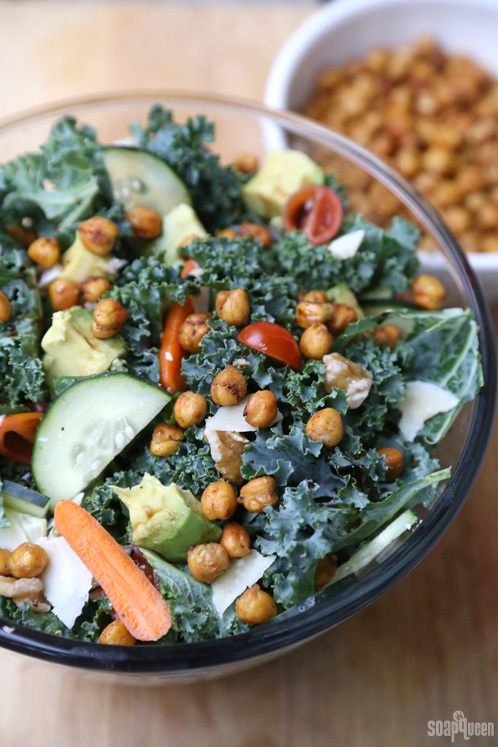 Do you have a favorite salad recipe? I’m always looking for ideas, and I’d love to hear them! Oh that sounds awesome! Blue cheese and a little fruit is such an amazing combination :). I usually use dried cranberries, but I will definitely give dried cherries a try. Thanks for the idea! I can’t do Kale in anything but soups as it’s just too fibrous. I always go with baby spinach or bok choy instead. that is making my mouth water! I have your soap book and I cherish it! So now it is time to write a cook book with all your lovely recipes and I can get that book too! mmmmm… That looks delicious! We’re growing kale this year and I had no idea what to do with it!